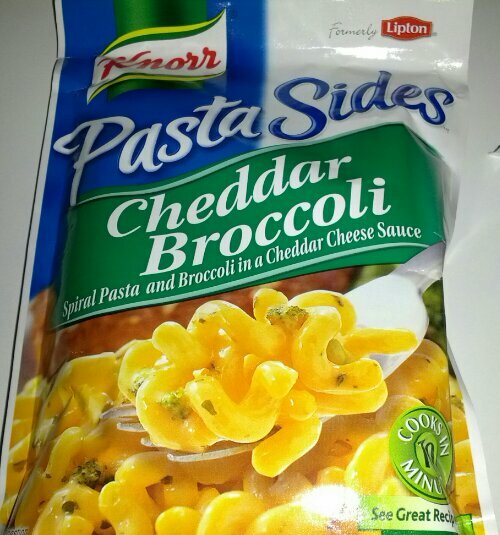 I’ve had these ‘Pasta Sides’ for a while now (I didn’t buy them – I think my husband did) and I decided I should probably use them before they go bad. I wanted to make a ‘one-dish’ meal though, because I’m not going to be home at dinner time so I needed to make something that would be simple for the older ‘kid’ (he’s 22, Lol) to cook (or heat). I browned up some ground pork with onions, garlic, seasoned salt & parsley and prepared the ‘Pasta Sides’ per the instructions (I made 3 packets of them, but I probably could have just made 2). I tasted the pork mixture after it was cooked and wasn’t impressed. 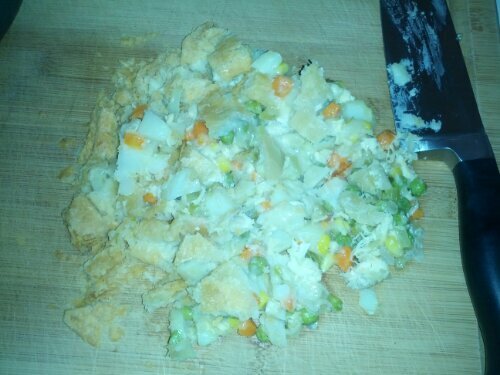 It didn’t have much flavor. 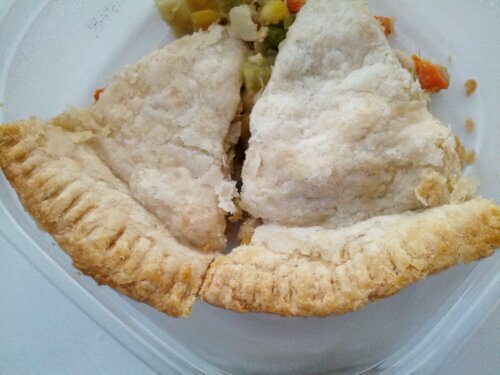 I was scouring my cupboards, and then my refrigerator for something to add a little flavor and I came across the leftover chicken pot pie from yesterday. 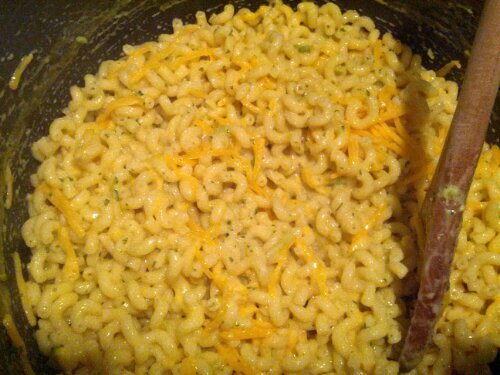 Then I tasted the ‘Pasta Sides’… I decided I don’t really like the flavor of the ‘cheese’ in them so I added about a cup of shredded cheddar. That made a huge difference! 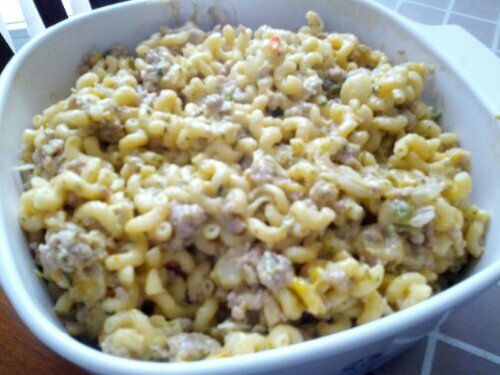 Then I combined the pork mixture and the ‘Pasta Sides’ into one very strange macaroni and cheese dish! It actually does taste good! Now I can tell the 22-yr old to put it in a preheated 350° oven for 30-45 minutes (or until heated through). Do you ever make strange combinations and are surprised when it works? Please post in comments if you do… I’m willing to give some new ideas a try!